2012 Auto Expo, the biggest Automotive Show in India, which starts in the first week of January, is not far away and all are waiting with baited breath to get an opportunity to see what all automobile manufacturing companies have to offer. As many as 18 automakers are eagerly waiting for this event. Around 60 cars out of which passenger vehicles are likely to be introduced at 2012 Auto Expo. A huge number of automobile producing companies from Malaysia and Germany will be participating in this event, which is expected to give a fillip to India’s trade with two nations. A CII release said that more than 70 German automakers will participate in this Auto Expo. Mr. Achim Rauber, Managing Director at German Association of Automotive Industry said that there were chances for both nations in this sector. For instance, India exported vehicles worth 25 million euros in first 3 quarters of 2007 and the supply industry in India had increased its exports to Germany by 20% in first three quarters of 2007. 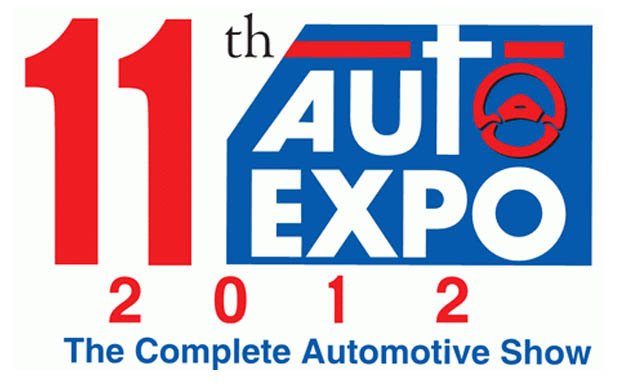 Most significant carmakers, which will participate in 2012 Auto Expo include Bosch, Volkswagen, Mercedes Benz and Skoda. Mr. Mohammed Feisal Ezuan Abdul Aziz, Assistant Manager at Product & Services Development Division in Malaysia External Development Corporation said that building relations, business deals and networking through partnerships are their objective and expectations in Auto Expo 2008. We have already covered list of models, which will be introduced at 2012 Auto Expo and their manufacturers include BMW India Limited, Audi India, General Motors India Private Limited, Ford India Private Limited, Hyundai Motor India Limited, Honda Siel Cars India Limited, Mahindra & Mahindra Limited, International Tractors Limited, Mercedes Benz India Private Limited, Maruti Suzuki India Limited, Peugeot Citroen, Premier Limited, Nissan Motor India Private Limited, Skoda Auto India Private Limited, Renault India, Toyota Kirloskar Motors Private Limited, Tata Motors Limited and Volkswagen Group Sales India Private Limited. The Countryman sport utility vehicle, Mini Cooper and Cooper S are likely to be introduced at 2012 Auto Expo. Jaguar Land Rover of Tata, Audi and Mercedes Benz are said to be pretty keen to make it to Auto Expo. It is Bugatti to steal the show with the launch of Bugatti Veyron Supersport. Maruti Suzuki India will also launch its Maruti MPV, Ertiga and full new small MUV and SUV concept at this event. Volkswagen will soothe discerning buyers with redesigned version of Volkswagen Beetle. Skoda will be an active participant at auto expo. Ford will make its presence well known with its small Ford EcoSport sport utility vehicle, while Premier Motors, Peugeot Citroen, Honda Motors and International Tractors will add to the grandeur. At last India’s leading automobile manufacturing company, Mahindra and Mahindra mulls over to introduce its vehicles, while SsangYong will showcase two new sport utility vehicles called Rexton and Korando.